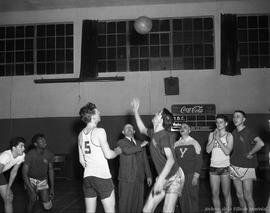 BASKETBALL WAS ONE OF THE ORIGINAL SPORTS WHEN THE NEW BUILDING WAS OPENED ON LAFOND. 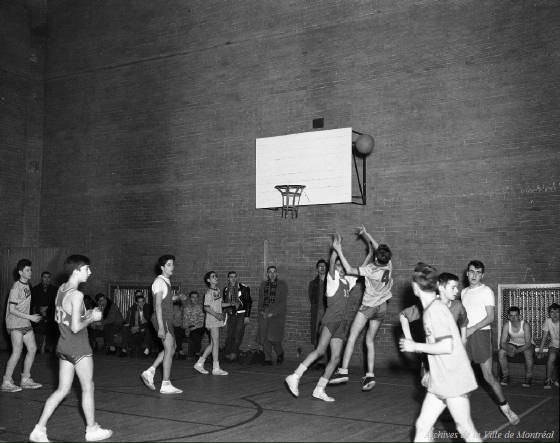 GIRLS BASKETBALL WAS ADDED THE FIRST YEAR DUE TO DEMAND. RBC TEAMS WERE QUITE SUCCESSFUL WINNING LOCAL AND PROVINCIAL CHAMPIONSHIPS THEN COMPETING AT THE NATIONAL LEVEL. 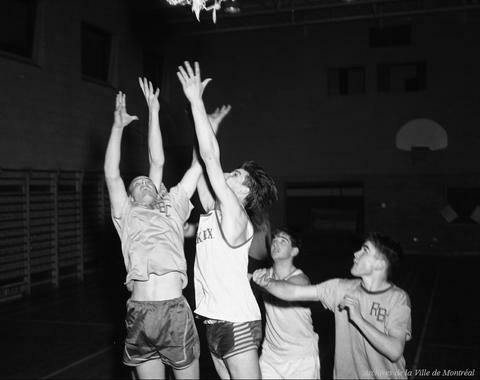 Details about the first community center basketball league formed in the fall of 1945 including teams from the Rosemount Boys Club. Minor Sports column by Bill Grey. 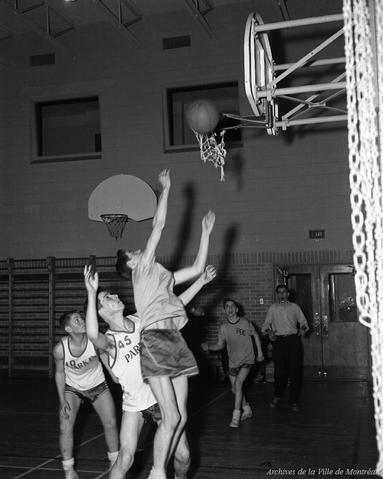 1955 Juvenile semi-finals vs Park Ex at Dunrae Gardens School, TMR. 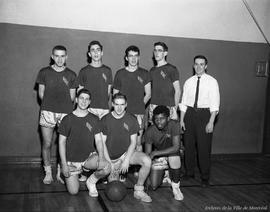 1954-55 SEASON, RBC WON THE MIDGET AND JUVENILE CITY OF MONTREAL CHAMPIONSHIPS. BRIEF GLIMPSE AT THE JUVENILE FINAL PARTICIPANTS AND THE GAZETTE STORIES. 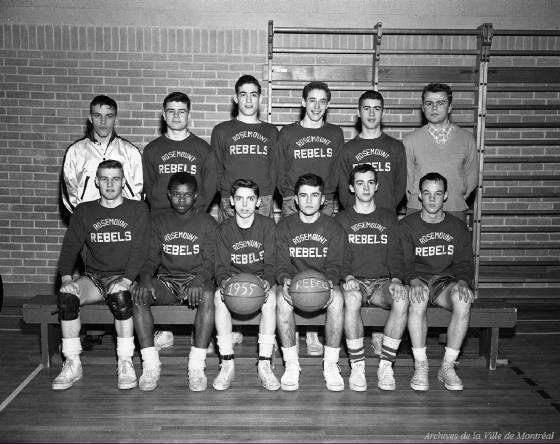 1955 RBC Midget BSKB City Champions. 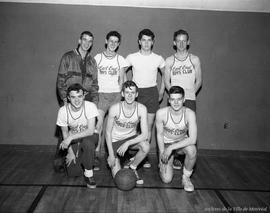 Back Row: (L-R) Jack Sheppard, Bill Bleakley, Ken Whitelaw, Don Hurley, Eddie Wilson, Jack Bleakley (Coach). Front Row: (L-R) Jack Bant, Tony Payne, Tom McClean, Tom Bleakley, Murray Thomas, Ross Clark.Thanks to Bob Cross for the names. 1955 Midget final vs Park Ex, le Plateau.